Significantly greater response to the threats of climate change resulted in the toughest year yet for judges of the Climate Change Leadership Awards, who announced the 10 category winners at a carbon neutral event in Sandton recently. This green competition and awards is the first in Africa to recognise, reward, motivate and celebrate businesses, communities, youth, schools and individuals leading the way in climate change response and mitigation. Andile Ncontse of Litha Communications announced the evolution to the continent wide Climate Hero Awards Africa, which will kick off on October 1, 2012, World Habitat Day. This year the scope of categories was expanded and judging methodologies evolved to sustain the spirit of the awards and cater to growing interest across the board. In first place is Mailakgang Primary School with its peer educator concept for recycling, tree planting, food gardening, and water conservation linked to climate change awareness, that reaches beyond its own school of children to neighbouring schools. Strelitzia Secondary was placed second and Inkwenkwezi High School came in third for linking recycling, tree planting, food gardening and water conservation programmes to climate change and actively introduced climate change awareness programmes, both in the school and in its community, in their own individual way. First place went to The Reporting Development Network Africa, for demystifying climate change, with a specific focus on community education and training the media. It interrogates the way that issues of climate change, food security and overall global sustainability are being framed by journalists when they communicate to the general public. Second place was awarded to JNF Walter Sisulu Environmental Centre which developed a high impact programme with a broad reach in the area characterised by high unemployment, low income and little left of nature. The centre describes an alternative, low carbon future to 288 schools and 10 000 learners a year, creates jobs and is transforming the community. 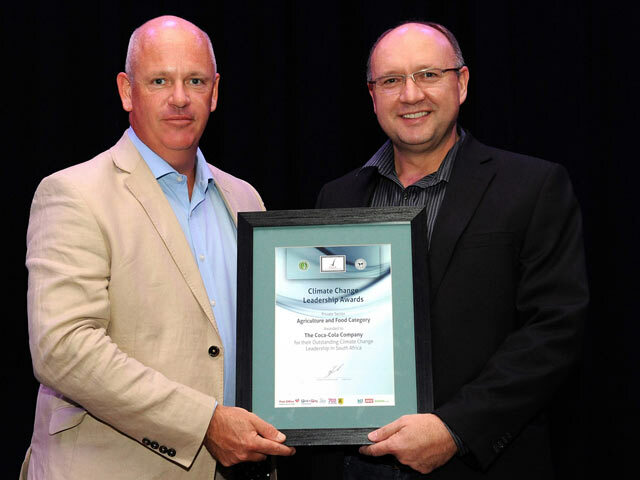 Daniel Robinson scooped third for Project 90 by 2030, which makes changing a lifestyle possible through high impact carbon clubs in Gauteng, the Western Cape and KwaZulu-Natal, office carbon calculators and comprehensive lists of carbon reduction opportunities. Foodbank South Africa was the outright winner. It is a project clearly dealing with both aspects of climate change, mitigation (avoidance of emissions from landfills) and adaptation (dealing with food security), by reclaiming food which would potentially be wasted and redistributing this to those that really need it. Soul Foundation, with its integrated waste management systems and river restoration programmes, a project exemplary in linking directly to climate change, was awarded second. Bergvliet High, an ongoing project for 22 years involving the whole community, multiple projects , impacting in various ways claimed third prize in this category. The Agriculture and Food category was won by The Coca-Cola Company, which is addressing climate change through two main areas: cutting carbon emissions and increasing energy efficiency. The judges awarded a special mention to a local firm producing what is believed to be the country’s first carbon-neutral cheesery: Fairview. The Energy, Minerals and Industrials category was won by Gold Fields Limited, which has been aligning its business with emerging, global low carbon emissions economies since 2005, and has a clearly defined carbon management strategy, and multiple energy efficiency projects. 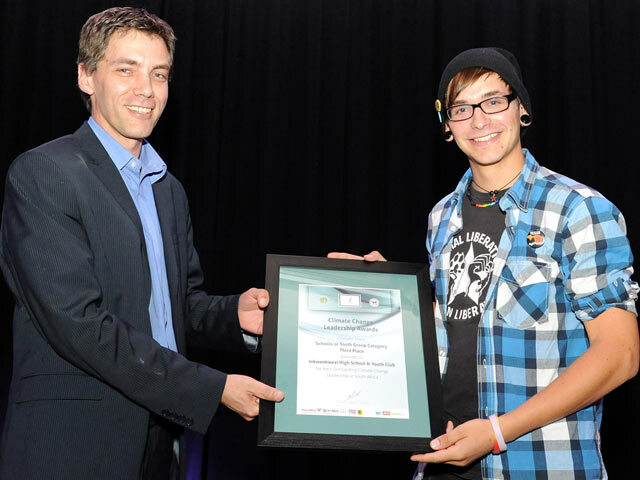 Santam won the Financials category for its part sponsorship of a research project in partnership with the CSIR, University of Cape Town and WWF, the outcome of which illustrates how human-induced impacts on the ecological buffering capacity of the system have an equal or greater impact on risk, as compared to future climate change predictions. RISO Africa won the Other Corporate Services category for its off-the-grid printing solution called Risolar, which makes it possible for rural educational institutions without electricity to print 90 pages per minute using solar power. 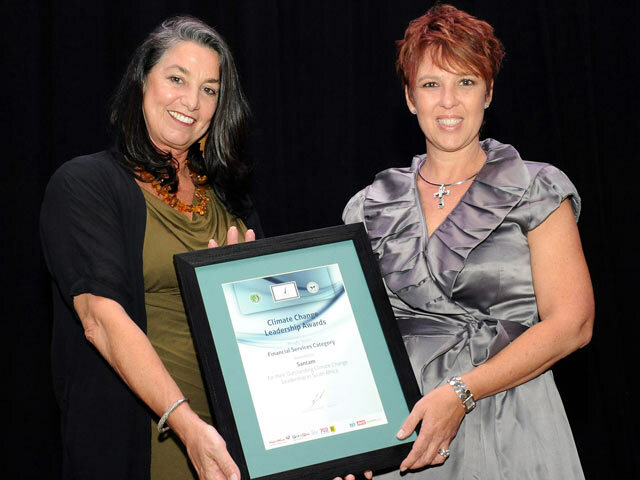 Pick n Pay won the retail category due to its new world-class, eco-friendly stores and its ongoing commitment to climate change education programme. The SME category was won by Earth Patrol for many reasons summarised by its depth and breadth of commitment to environmentally sustainable solutions for its customers and partners. The Municipality of Cape Town was the runaway winner of the new Local Municipalities category for its long term sustainability strategy, a string of deployed initiatives, and setting the national example. 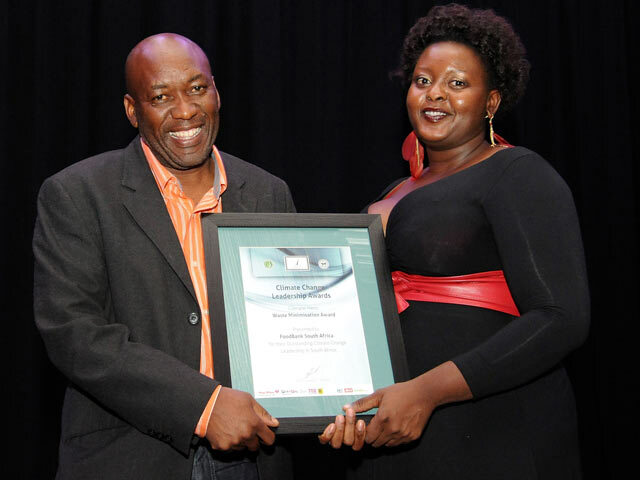 A special mention goes to eThekwini Municipality which implemented a range of activities throughout the past year. Schools/Youth Group category winners share R35 000 in gift vouchers from Pick n Pay amongst the three winners, and winners in the Community and Individual category share R100 000 from South African Post Office. Waste Minimisation heroes get financial assistance from Amalgamated Beverage Industries, with educational courses sponsored by Global Carbon Exchange. 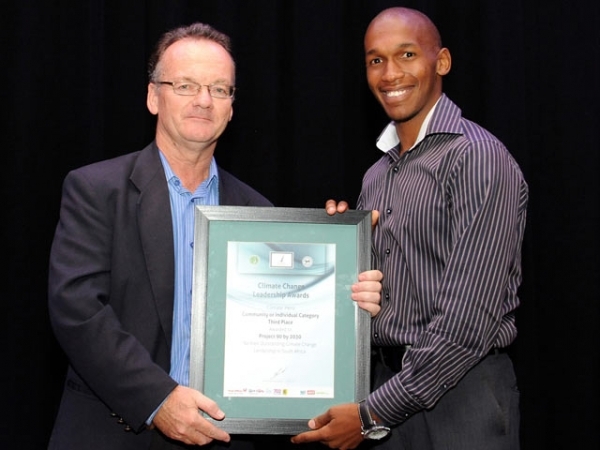 Winners were announced at a carbon neutral green gala event hosted on March 29, 2012 at the Sandton Sun Hotel.